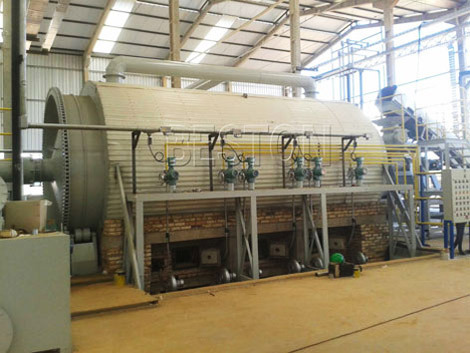 Plastic recycling pyrolysis machine for sale is a kind of machine that is used to convert many kinds of waste plastic into fuel oil, carbon black and combustible gas through pyrolysis method. 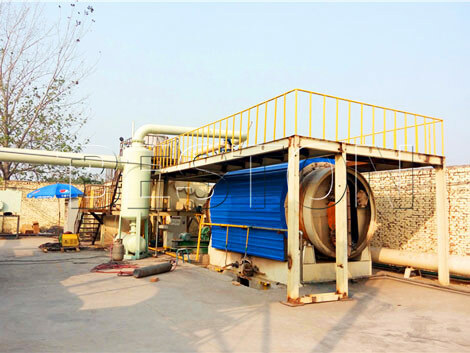 The pyrolysis method can effectively recycle and reuse these waste plastic, such as PP, PET, ABS, PPS, PE, etc. It is a good way to reduce the amount of piled waste plastic which was produced in our daily life. Pyrolyzing waste plastic can also reduce plastic pollution and bring wealth for customers. 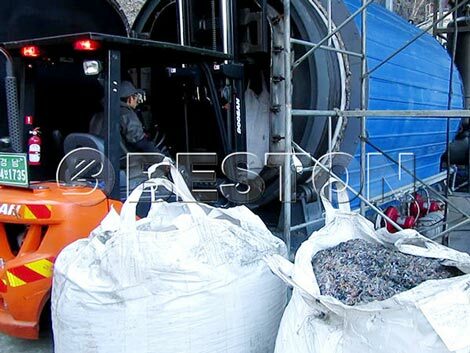 Beston mainly has the batch (BLJ-6, BLJ-10), semi continuous (BLJ-16) and continuous plastic recycling pyrolysis equipment for sale (BLL-20). 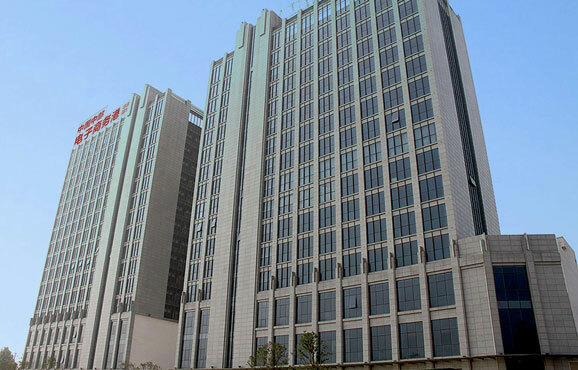 They all have been designed with many featured characteristics, such as high-quality final products, long service life, durable devices, easy and convenient operation, high efficiency and output rate, high security guarantee, low noise, space saving, energy saving, etc. 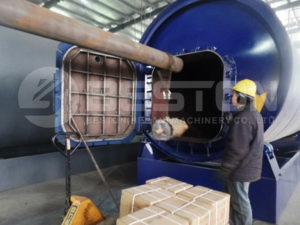 With these advantages, our plastic recycling pyrolysis machines for sale are becoming more and more popular in the international market and have been exported to more than twenty countries. You can choose the best suitable one according to your demand. Certainly, if you don’t know how to choose, just leave your message below, we will contact you as soon as possible when we receive your message. Then, we will communicate the details of the machine with you and help you to make a decision. So, don’t hesitant to contact us, now! 1. Fuel oil: firstly, it can be sold to make a great deal of money directly; secondly, it can be used as fuel directly in many industries, such as the iron and steel smelting industry; in addition, the fuel oil can be reprocessed into diesel or gasoline to get the higher value. 2. Carbon black: firstly, you can use the carbon black to make brick. secondly, you can sell them to earn money directly. And also, you can reprocess the carbon black into high quality carbon. 3. Combustible gas: in the working process, combustible gas can be recycled to heat furnace directly. Recycling combustible is a good and useful design to reduce the consumption of non-renewable energy and the cost of the whole plastic recycle machine for sale. Therefore, the machine can meet the requirement of eco-friendly and energy saving. It is the best choice for you absolutely. As mentioned above, the three different kinds of end products all have wide applications and great values. 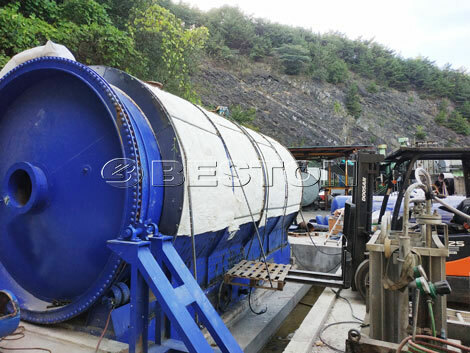 Thus, you can rest assured to buy plastic recycling pyrolysis machine from we Beston Machinery. 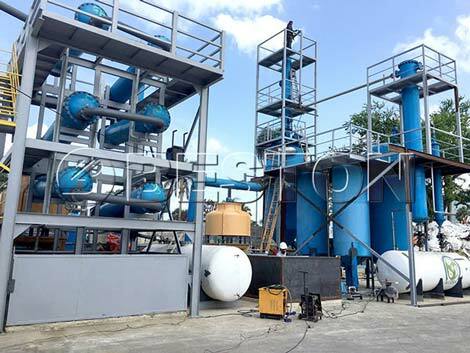 You will get great benefits from investing this pyrolysis plant and also you will be an environmentalist who helps to dispose of waste plastic. Besides dealing with waste plastic, the plastic machine for sale can be used to process the waste tyre, oil sludge, medical waste, waste cable skin, waste rubber. Accordingly, if you want to dispose different types of waste, you just need to buy one machine from we Beston Machinery. 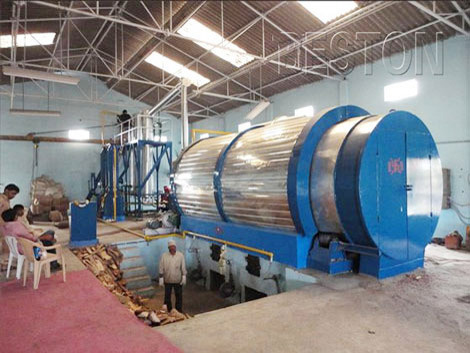 The machine also can be called waste plastic pyrolysis machine. If you want to buy plastic machinery for sale to recycle waste plastic and make money, please contact us immediately and we will give you professional advice on it. Currently, we Beston Machiney has been exported to many countries all over the world, such as Nigeria, Ukraine, Jorden, Romania, Brazil, Egypt, UAE, Dominican, Hungary, South Africa, Korea, Hungary, South Africa, Indonesia, Uzbekistan, Ukraine, Hungary, Australia, Brunei, Argentina, UK, Turkey. 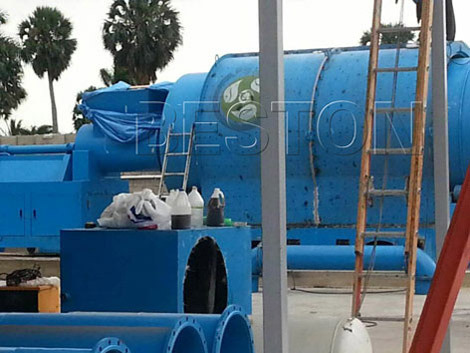 All customers speak highly of our plastic recycling pyrolysis plants for sale. They all truly happy to cooperate with us. When they need, they choose to buy machine without hesitation again and again from we Beston Machinery. We hope to establish a long term cooperation relationship with more customers. (1)Rapid response to any inquiry. (2)Technical data provided, competitive price. (3)Visiting factory and trial for customer. (4)Suggestion with reasonable shipping freight. (1)Follow manufacturing department with high quality. (2)Professional inspection department to guarantee quality. (3)Help finishing certificate and profit report. (4)Fast delivery, help keeping track on goods till buyer receive the goods. (5)Engineers will go to clients’ site for the installation, test-running and free training. (6)We provide “Turnkey Project” service. 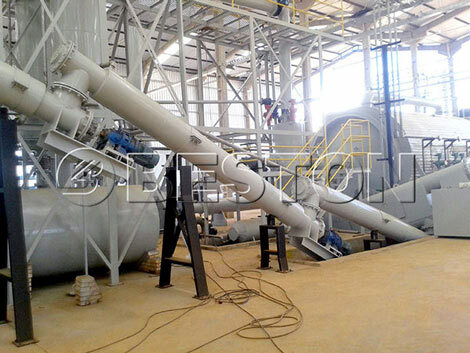 That means, if you want to buy plastic recycling pyrolysis line, we can do all the prepared work for you, such as factory location selection, factory construction, installation and test running of the machine, training workers, and so on. All you should do are injecting capital and managing. 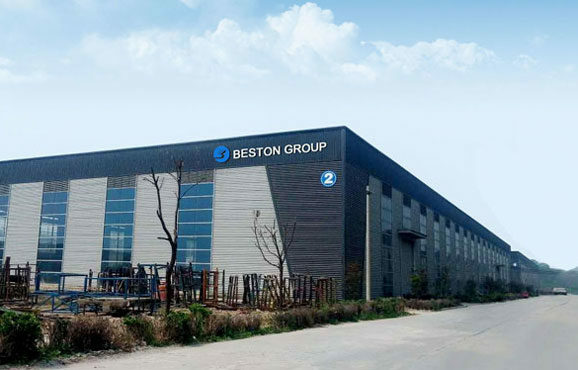 Beston (Henan) Machinery was founded in 2013, which is an innovation and high tech enterprise integrating research and development, manufacture, sales and services. 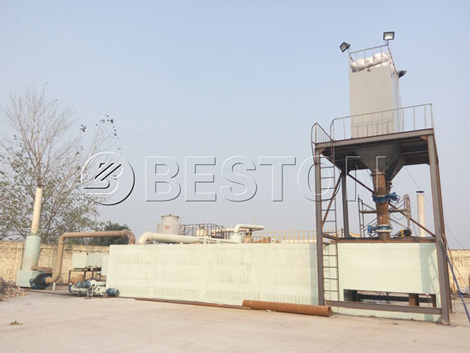 Beston Machinery mainly devotes to manufacturing waste pyrolysis plant, biomass carbonization plant, waste sorting equipment for sale and a series of related equipment. They all have been certified by CE, ISO, etc. Now, Beston Machiney has been developed to the leader in this industry. So, we can guarantee the product quality, after-sale service, delivery time for you.